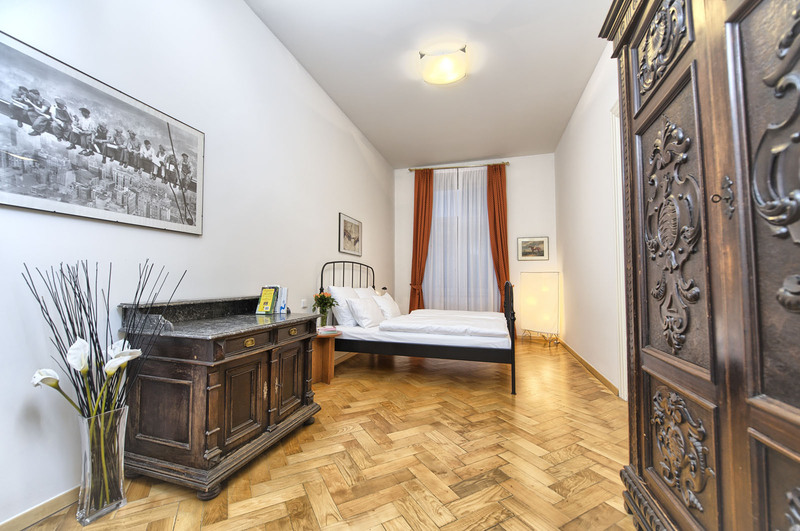 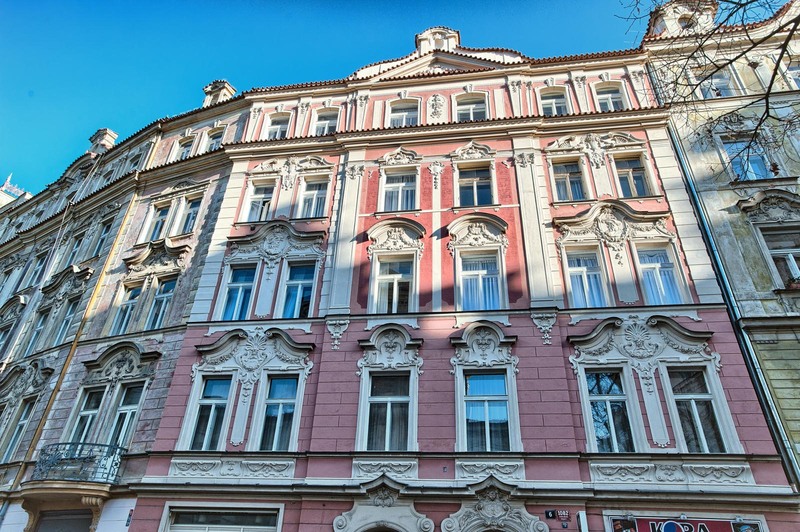 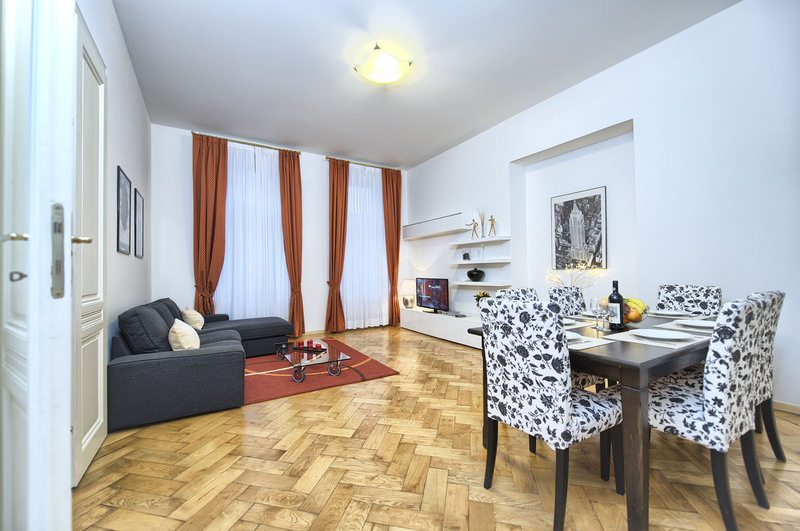 Salvator 42 is a spacious and well lit rental apartment situated in the heart of Prague, near the Old Town Square. 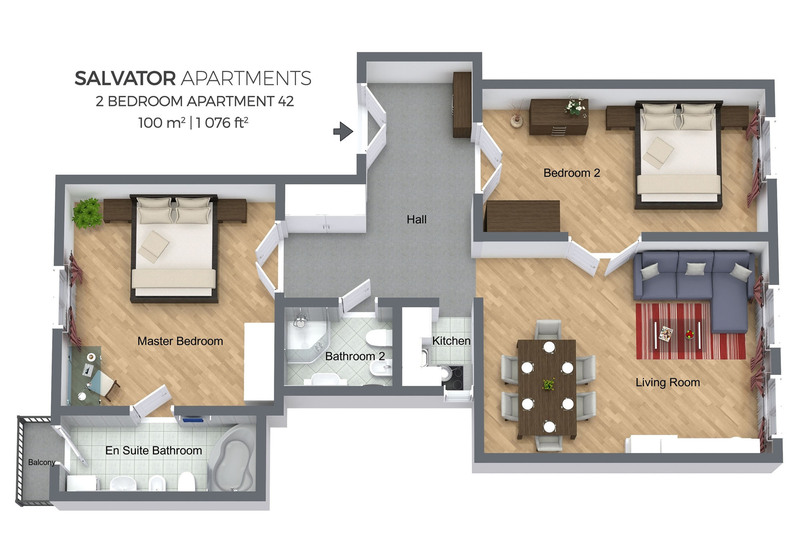 Apartment includes living room connected to dining area, two bedrooms and two bathrooms. 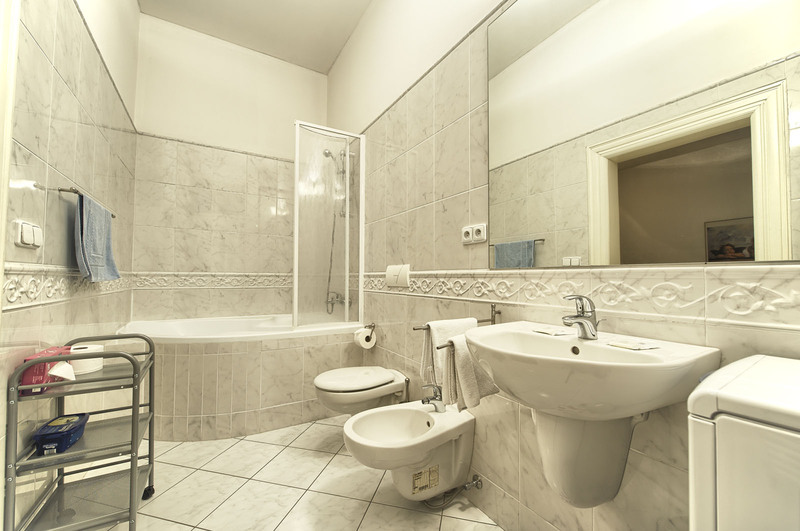 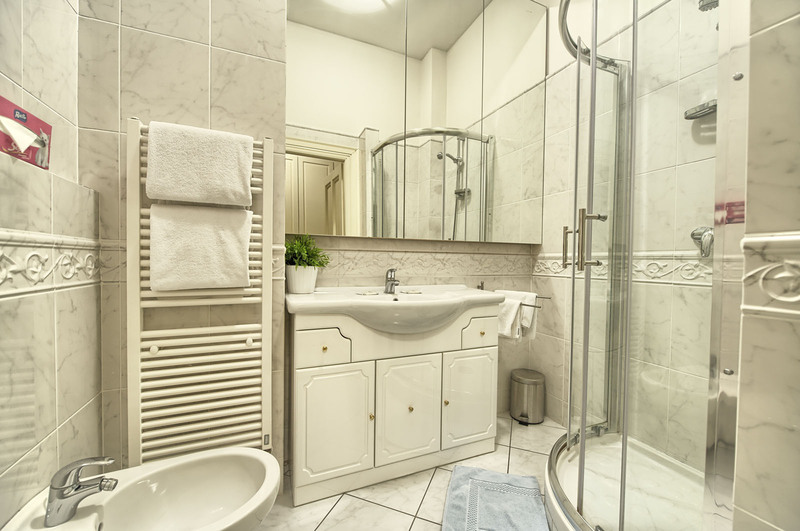 One bathroom has a bathtub and is en suite, the second one has a shower and is accessible from the hallway. 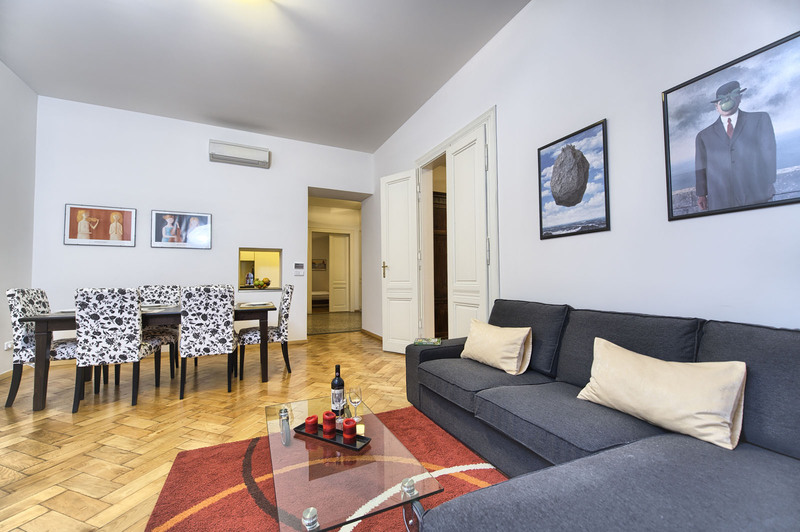 Living room consists of standard sofa, Sat-TV and table for six, making it an ideal place for relaxation, even when entertaining guests. 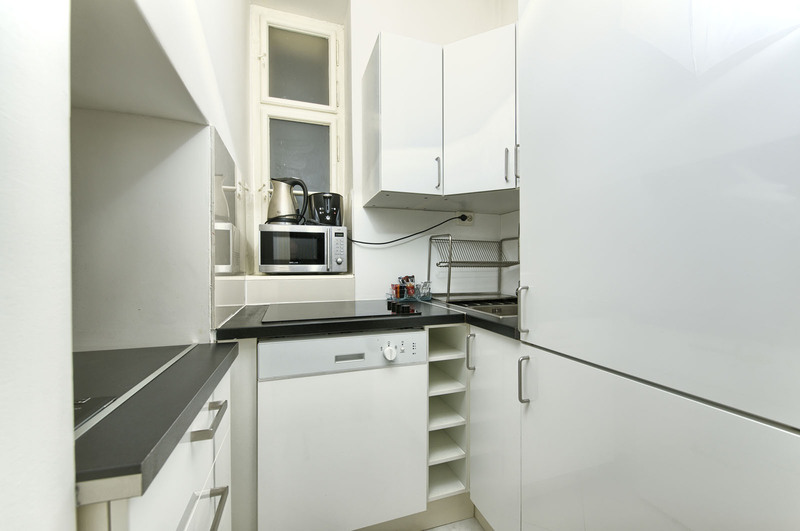 Apartment has a small, but sufficient kitchenette with all necessary appliances for whole family meal preparation. 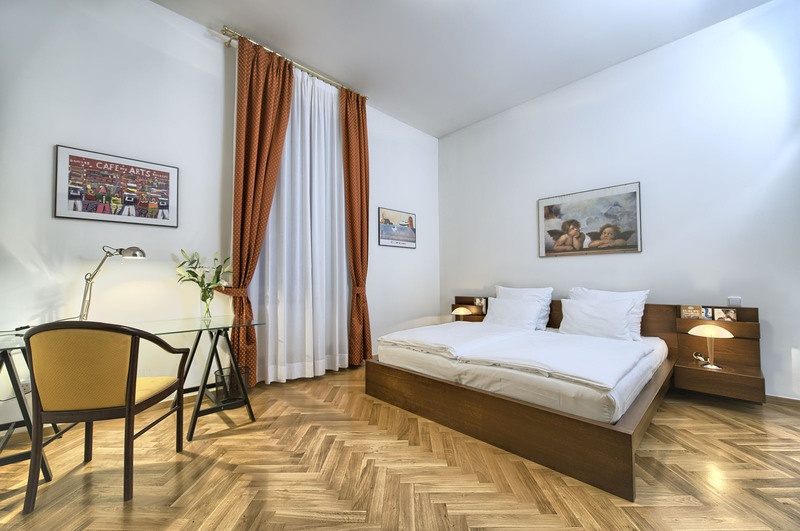 Design is a combination of modern and antique furniture, thus creating a unique atmosphere.